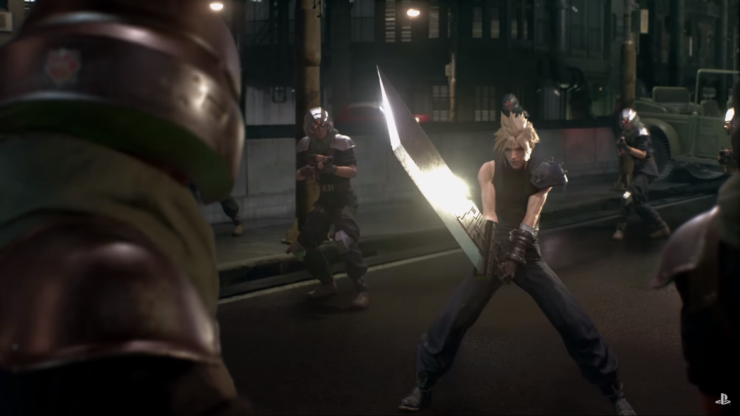 A new Final Fantasy VII Remake image surfaced online earlier today, showing the game after quite some time. 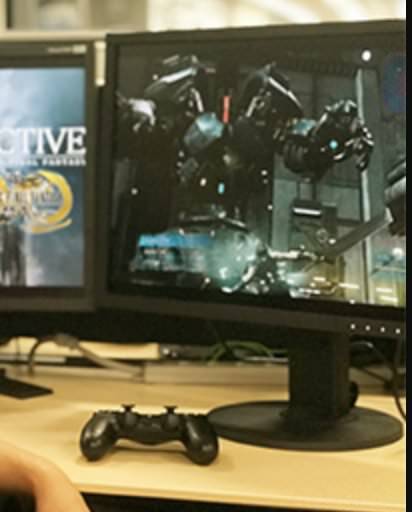 The image, which has been spotted on Naoki Hamaguchi’s computer screen on Business Division 1’s updated recruitment page, showcase what seems like the early game Air Buster boss as well as main character Cloud. Sadly, the character is barely visible, only recognizable by his signature weapon, the Buster Sword. While anything has yet to be confirmed, there’s a good chance that the image showcases a sequence from a trailer which may be shown at this year’s E3, also considering that the team recently confirmed that they want to show more of the game in the near future. At the current point they’re at the stage where they’re basically cramming a bunch of stuff into the game, but once they hit the stage of polishing up the look of things and can deliver something with suffuciently high quality, they will be releasing new footage.